I finished the quilting on one of my fair entries for this year. Does it look like things are floating? 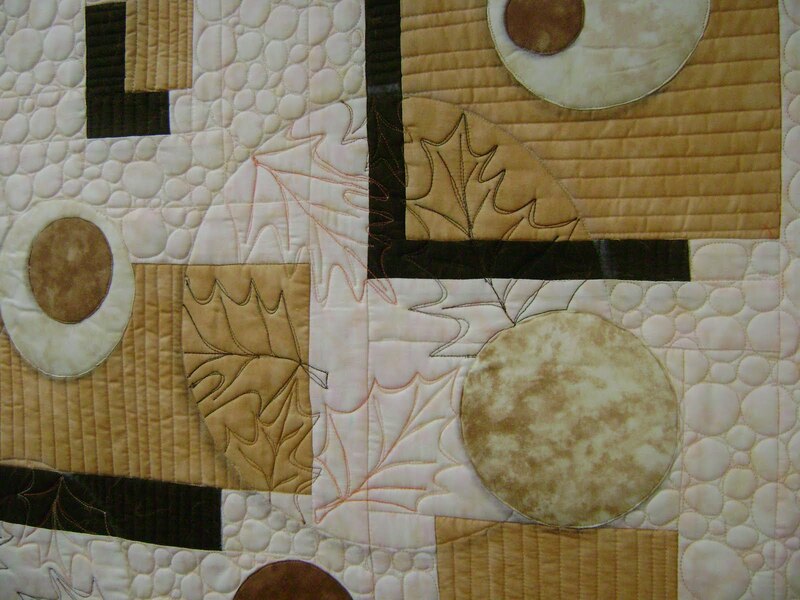 Here’s a close up of the quilting. 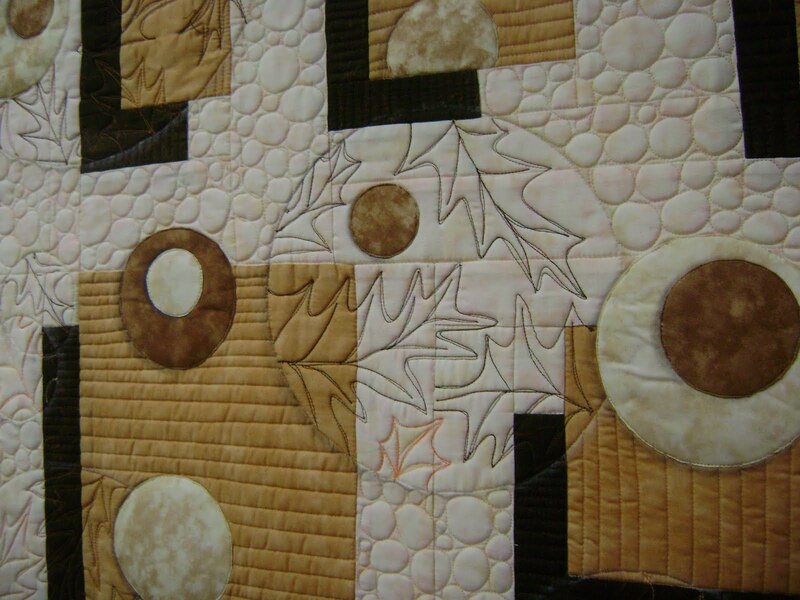 Another close up of some of the quilting. 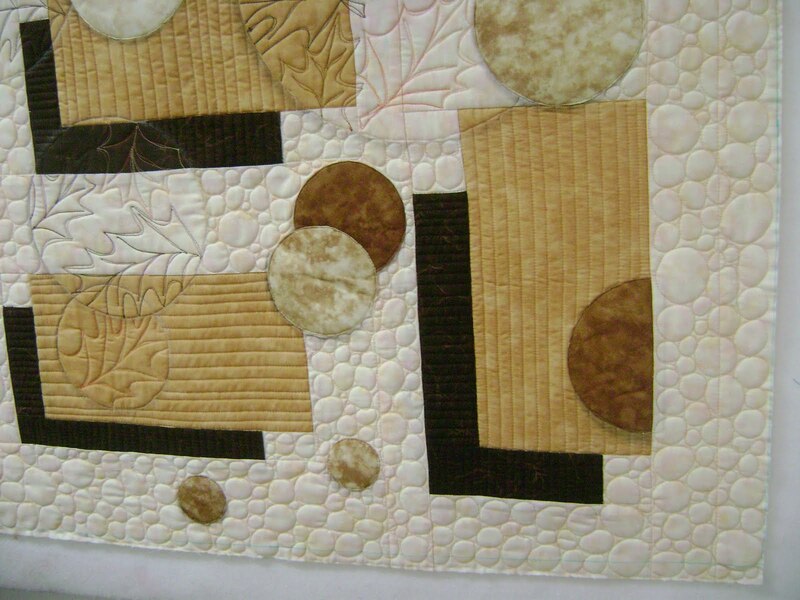 And one more close up of some of the quilting. It’s supposed to appear as if everything is floating across the quilt. There are “implied” circles which I really like. Those are supposed to appear as if they are clear but still solid enough to cast a shadow. The smaller circles made of fabric have only stitch in the ditch around them so that the batting makes them pop out just a bit and give them dimension. The rectangles have what is supposed to be shadows to make them appear to be floating too. What do you think? Did I make it look like lots of floating things? I wish I could take credit for the technique. A few weeks ago, while going through some quilting stuff to organize, I came across a sketch I had made of a quilt. 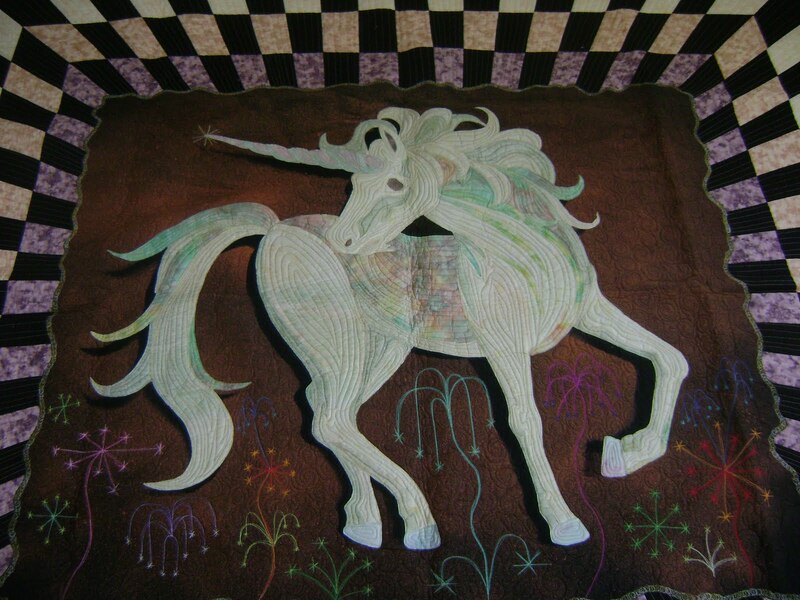 I made the sketch while watching an episode of Simply Quilts in 2005. The guest that day was Colleen Wise and she was demonstrating how to create shadows on fabric. I used the shadowing technique on my fair entry that year and won best of show. 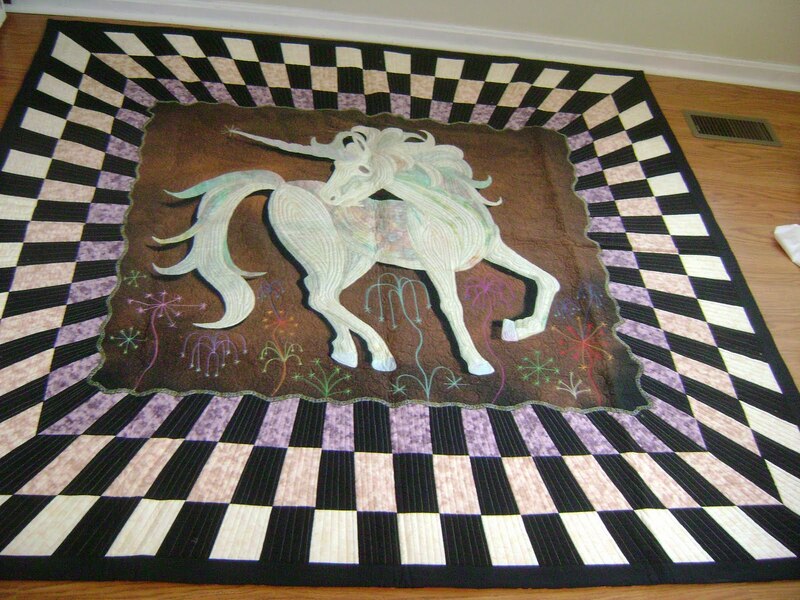 This is my fair entry quilt from 2005. Here’s a close up of the unicorn. See the shadow? I remember spending several days at the fair just sitting and watching the people passing by my quilt. Every one of them would stop in their tracks the moment they saw the unicorn. Especially the children. Several kids said the horse’s eye was following them. I got a kick out of that because the eye was nothing more than a piece of fabric. I did nothing special to it, yet, the 3d effect of the rest of the quilt did make the eye appear to follow a person. Ok, I really must get off the computer and get busy on the next quilt. 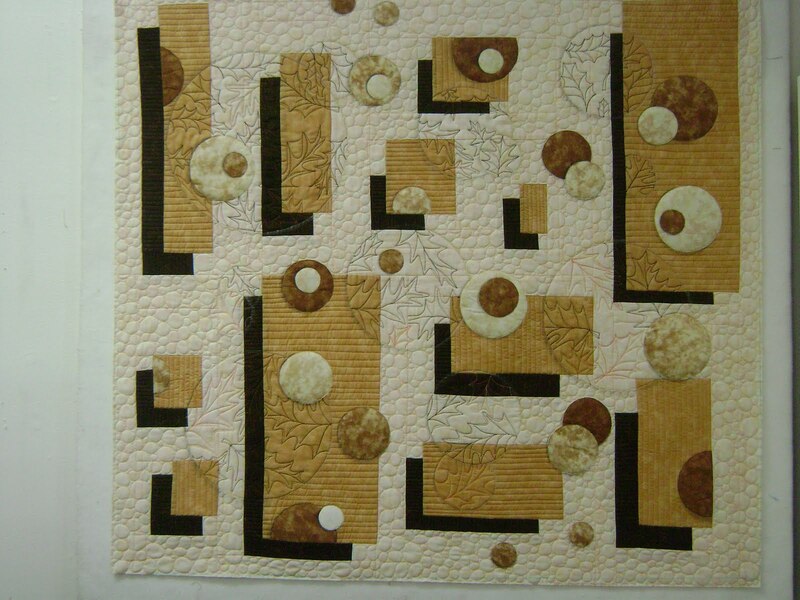 I’m quilting my SILs fair quilt and then I’ll start working on my second fair entry. I’ll square them up and do the binding all at the same time. Beautiful quilt! I can definitely see the “floating” going on. Let us know how you do at the Fair! YES, definately FLOATING. i LOVE the way the quilt looks. Very 3D, VERY artsy. It looks like it should be hanging in a museum,, my kind of art. LOVE IT. GOOD LUCK at the fair. Oh Anita! This is LOVELY! I love Colleen Wise's book. I used this technique on a t-shirt quilt..but would love to try out some of her other techniques. I can't wait to see your other fair entry. I”m at my parents house..and away from my long arm. WAAAAAA! Love,love,they are sawesome! !Yes ,you got it,they`re floating. This entry was posted on July 27, 2011 by Anita in ART JOURNEY, Journey 2011.